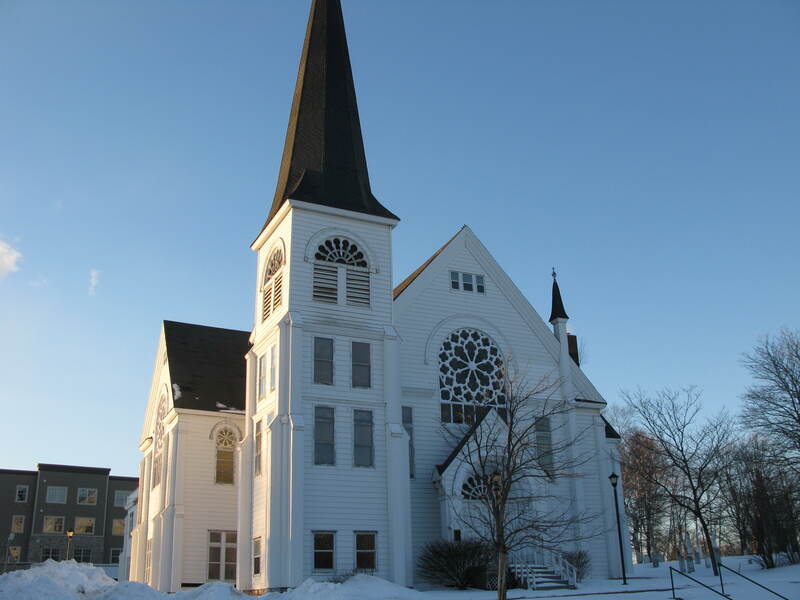 More than two years after demolition of the former Sackville United Church, the town and one of its most persistent critics have struck an agreement to avoid a potential fight in the Supreme Court of Canada. Louis Béliveau has agreed to pay the town $5,443 of the $13,947 that the courts ordered him to pay as a result of his unsuccessful attempts to challenge his dismissal as a volunteer member of the Sackville Heritage Board in January 2016. In return for the partial financial settlement, Béliveau has agreed to withdraw his appeal to the country’s highest court in Ottawa. “On a personal level, this is a great outcome financially,” Béliveau said in an e-mail to supporters who raised money for the settlement at an auction and fundraiser in August. “The likelihood of the Supreme Court agreeing to hear the case was very small in reality,” he added. For his part, Mayor Higham says town council has agreed to accept Béliveau’s offer to settle although one or two minor steps will be needed to complete it. The mayor added that an appeal to the Supreme Court would have cost more money so there was an incentive for both sides to settle. Town Council dismissed Béliveau from the Heritage Board after an investigator the town had hired accused him of misconduct. Moncton lawyer Kathleen Lordon published her findings in a $47,000 report that has never been released. Court documents show that Lordon felt Béliveau should not have testified at a municipal appeal board on behalf of a citizens’ group. 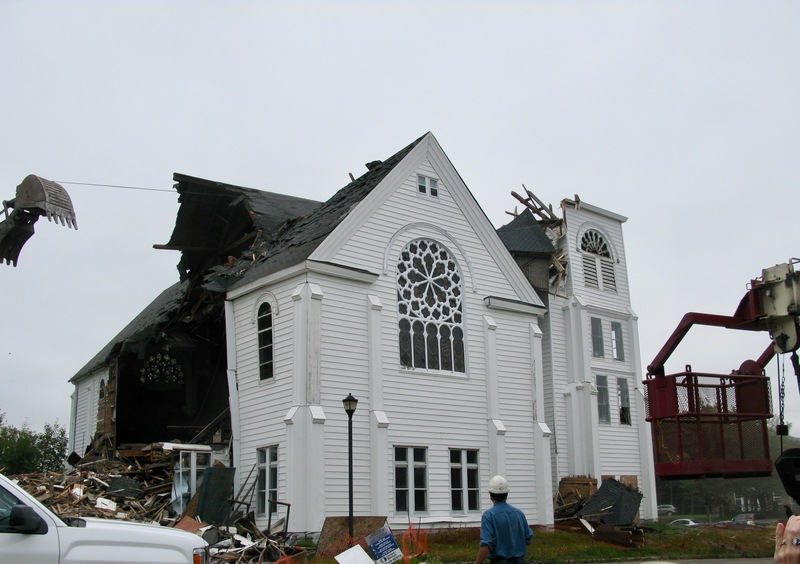 The group were seeking to overturn a permit allowing for demolition of the historic church. Béliveau was a member of the Heritage Board when it issued the demolition permit in March 2015. Members of the board had wrestled with the issue for about seven months as they and the developer, J.N. Lafford Realty, tried to reach agreement on a plan to salvage historic artifacts including the church’s unique stained glass windows. Along the way, three board members resigned and others, including Béliveau, accused town councillors and municipal staff of interfering with their work. Béliveau said he decided to testify before the appeal board because he wanted people to know about the town’s interference. In the end, the appeal board upheld the original demolition permit with salvage conditions attached, but when the church was torn down, some artifacts were lost including three of the four unique four-metre stained glass “rose” windows that were a special feature of the building. After council removed him from the Heritage Board, Béliveau challenged his dismissal in the Court of Queen’s Bench, but Mr. Justice George Rideout ruled that the town had acted reasonably and ordered Béliveau to pay the town $11,447.46 to cover some of its legal costs. Last June, the New Brunswick Court of Appeal upheld Rideout’s ruling and ordered Béliveau to pay $2,500 more. Judging from his e-mail to supporters, Béliveau seems relieved that town council has accepted his settlement offer, but he also seems bitter. This entry was posted in Sackville United Church, Town of Sackville and tagged J.N. Lafford Reality, Louis Belliveau, Sackville United Church, Supreme Court of Canada. Bookmark the permalink. Thank you for this article, Mr. Bruce Wark. As a young friend from Moncton said at the end of the summer: “Many years from now when you will look back at this whole saga, you will be proud Louis because you can tell yourself: Back then, I refused to remain silent”. I salute his wise words whilst being very HAPPY that things are over now. If I am writing this comment, it is neither wearing spouse hat nor a university employee hat nor simply as a tax payer in Sackville, NB. I am expressing myself as a human being who adopted (and has been adopted by) a wonderful, “supposedly” FREE country called Canada 27 years ago. As a proud Canadian, I say: Thank you Louis Béliveau for having stood up for the truth and for being one of the most genuine men I have ever met in my life (there is a reason why I am still in love after 15 years :)). This being said, the past 2-3 years have been tough…not only on Louis. It is time to have a closure to this sad chapter of our town’s history. Indeed, it is time to peacefully move on, hoping some lessons have been learned along this journey. As anyone can guess, labelling a “volunteer” on a board with misconduct for speaking the truth (in front of a tribunal) was a career killing move for a “lawyer”. Paying $47,000 of “tax-money” on a “secret” (Lordon) report to get that label was a waste of public funds (what a fiasco). As far as I am concerned, I would have preferred if that money was provided to the food bank instead. Sadly, even if the story has ended, the consequences of this label will remain pervasive. Thus, according to me, for the sake of HEALING AND PERHAPS REPAIR, the Town of Sackville owes Louis Béliveau PUBLIC APOLOGIES for its “misconduct”. Unfortunately, one of the most disturbing lessons I have learned through Louis’ ordeal, is how our legal system has operated in this case: non-professionally, to say the least. Not allowing a citizen to see his own court file before his hearing is NOT normal. It is scary to know that such basic procedural right was violated twice, not only once. I witnessed the two incidents (then it was put in a letter on top of that). We had to drive to Fredericton so Louis could see his file once it arrived to the Court of Appeal. Louis’ story has been an eye-opener to me: How many (innocent?) folks must have been put in our jails without a fully proper legal procedure? I wonder. Some may lack the linguistic skills or do not have a sophisticated legal education. How do they deal with the system? I feel for them, today more than ever. Despite my gratefulness, inner peace, and eagerness to turn the page on this dark chapter (life is too short), I cannot help not to think the following: By having had the courage and tenacity to submit your application to the Supreme Court of Canada, you gave us “hope” (even if just temporary) that a justice greater than us all may still be possible. I say this fully aware of the slim chance of a hearing. You allowed us to naively keep dreaming that we may still be ALL truly equal under our country’s law– contrary to the third world where most immigrants come from… for a reason! If only for that (very little… or even false?) hope, I thank you again Louis Béliveau. Last but not least (MOST importantly here! ), I extend my heartfelt thanks to ALL Louis’ supporters for their incredible generosity, including our friend cited above. It is this generosity of people’s hearts that has allowed the settlement of this case, in addition to common sense that finally came back. Thank Goodness. It is this generosity that reminds me of why I like calling NB (ie., Sackville) home, regardless of everything. It is really a shame how Mr. Louis Beliveau was mistreated for speaking out. How come in a country like Canada and as diverse as Canada, allow such an outrageous and corrupt system to win a case against an innocent and honest person who was only trying to preserve a heritage landmark and its precious artifacts. The least the town can do is apologise to Mr. Beliveau publicly and scrap that horrendous fine. From what I understand and experienced as a past member of heritage board the issue which turned into this unnecessary fiasco was not any more about preserving heritage of Canada…it was about doing things properly even if we would lose such a valuable piece of history and architecture (United church). It was not right nor acceptable in any good society or committee to change the vote of community members behind their backs. When such things happen, any responsible member of community should have done what Louis did. Regardless of court descions or dislike of town council members (then at least) Louis did the right thing. He should have allowed other members of community know about what was going on. Louis did it and Bravo to him. I read some where that: You cannot get rid of darkness by burnning the darkness but you can shed light on darkness. Thank you Bruce Wark, for covering this important story which will always be a part of Sackville’s history now. I respect Louis Beliveau for his honesty and determination to inform the justice system that there was some interference from the previous mayor and Ron Corbett with the Heritage Board’s decision concerning the demolition permit that was granted to J.N. Lafford Realty to tear down the former United Church building. Many valuable and historic artifacts were lost that day and there is no record of them because of what Ron Corbett did behind the Heritage Board’s back. Louis was penalized for speaking out and then was given a very high fine for his efforts to tell the truth; $47,000 of taxpayer’s money was paid for the secret Lordon Report, but Ron Corbett was not penalized for what he did, and J.N. Lafford Realty was able to be unaccountable because of Corbett’s actions. Perhaps if we could see what was in this secret Lordon Report we would have proof of why Louis found it so compelling to try and find justice in a system that let him down so terribly. I would like to thank our Mayor, John Higham and Council for being agreeable to settle with Louis Beliveau before more taxpayer’s money was spent on this legal matter. It’s unfortunate that Louis has to pay any money at all, but $5,443 is much better than the ridiculous amount of $13,947 which would be financially burdening. I agree completely with Rima Azar that the Town should apologize to Louis Beliveau for the way he was treated as a volunteer on the Heritage Board, a person trying to do the best job he could, someone who was trying to preserve valuable heritage artifacts. I would suggest that the Town go one step further and forgive the amount of the fine. After all he is being punished for coming forward and telling the truth. It doesn’t seem right. There are fairly complete records of who contributed to the fundraising. If what you suggest were to happen, I would do my best to arrange for return of the money to those who contributed it. I learned about this story through colleagues. I am baffled. Are we not in 2017 and in Canada? I always envisioned small towns to be close-knit communities where everyone worked at being honest, sincere, and doing what is right by others. And, here is this story of one man, professional lawyer himself, being targeted for being honest and for caring enough about the artifacts- a part of your history! Such actions do more harm than good at a time in our world where we should all aim to be better human beings. Considering Mr. Corbett prior position with the Town of Sackville Planning Commission for many years and his credentials this action of backdating is totally unacceptable! Ron Corbett who was the Town Council on the Heritage Board at the time and also acting as Board Chair. Wow, simply unbelievable then the Town of Sackville took action against Mr. Béliveau. Yes, the Town of Sackville needed to take action big time but did it with the wrong person. “I would like to thank our Mayor, John Higham and Council for being agreeable to settle with Louis Beliveau before more taxpayer’s money was spent on this legal matter” Yes I totally agree Erna Ricciuto as John Higham was not the Mayor at the time. Let’s keep in mind that Councilors and the Mayor don’t make a lot of money though they do count on the Chief Administrative Officer (CAO) who is professionally trained in such matters and makes well over $100,000 dollars a year. Why was Mr. Corbett not sanction for his actions back-dated permits? Who OK “secret” (Lordon) report? Now keep in mind the CAO works for the WILL of the council so no idea what advice he gave them hopefully the right advice if not then the CAO should go. Keep in mind Town Council can override the advice of the CAO, but still what the heck happened here? “As anyone can guess, labeling a “volunteer” on a board with misconduct for speaking the truth (in front of a tribunal) was a career killing move for a “lawyer”. Paying $47,000 of “tax-money” on a “secret” (Lordon) report to get that label was a waste of public funds (what a fiasco). As far as I am concerned, I would have preferred if that money was provided to the food bank instead” Totally agree with this statement Rima Azar. Of course, I would like to thank Louis Béliveau for his courage as well in trying to save the Old United Church in the Heart of Sackville. Now replaced with another box apartment. I know a lot of people want to blame the Laffords but as far I can see they really did nothing wrong at all. It is easy to blame them. The problem is the ‘Town and Gown’ mentality the Old United Church in the Heart of Sackville has ties to both the Town and the University. So they took upon themselves to basically do nothing and blame the other party for doing nothing. Does anyone know how much the town of Sackville spent on lawyers to achieve this “result”? I heard the number $100,000 – *before* the appeal. So what are we looking at in total? Twice that? To the cost of the lawyers, don’t forget to add the cost of that secret study as well. I read the judgments pertaining to this case in full, and was quite flabbergasted by what I found there. The Town of Sackville was certainly very invested in quashing Louis Beliveau. Clearly they did not succeed. Well done Louis. Fights like this are rarely without great personal toll; by standing up for the truth and daring to speak out you have earned the respect and admiration of many. Thanks, New Wark Times, for the good news report that, finally, an agreement has been reached in the two year battle of The Town of Sackville vs. A Volunteer Citizen, Louis Beliveau. The optics of this scenario for our community have been so clearly unfortunate from the beginning. May I ask…..Who, in their right mind, will now want to participate as a volunteer for The Town of Sackville for anything? Good volunteers are precious and working with those volunteers is something that requires patience and respect for the democratic process. May I also ask….Did those with decision-making power for the Town of Sackville think to consider the question “Should The Town of Sackville be spending tax payers dollars on taking legal action against a tax paying volunteer citizen of Sackville. In my view, this whole thing has been a blatant disregard and a significant waste of tax payers dollars. No matter what the amount. Our province is trying to attract young, bilingual professionals to bring work expertise here! We need young people who are passionate and not afraid to speak out reasonably. They should not be made to feel that they will suffer consequences for caring. “A Fresh Approach” is better late than never! With this agreement, relief is certainly being felt by those of us who have supported Louis and undoubtedly by those on the Sackville Town Council. Thankfully, the battle is over for Louis and his family and friends. 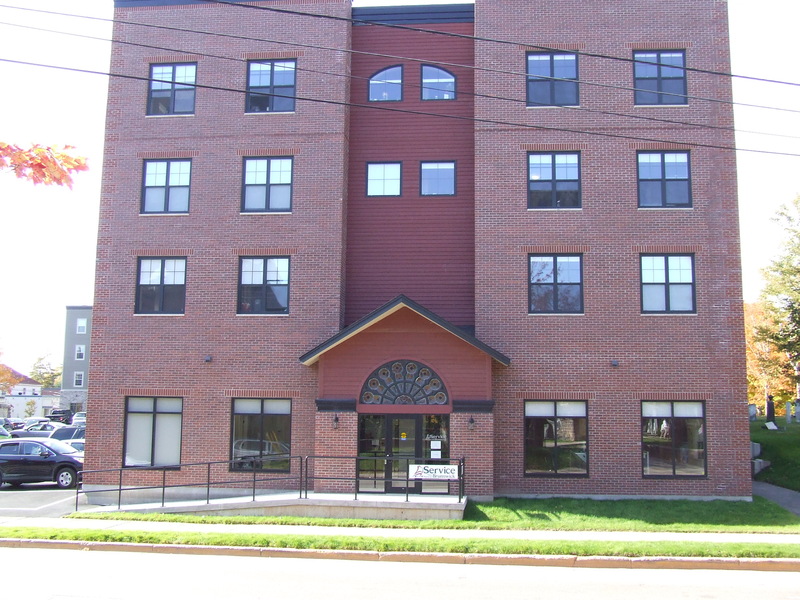 With regards to the future of The Sackville Heritage Policy: Until such time as the University is also a participating property and complies with the same regulations of the policy which has been designed to preserve the heritage character of the street scapes of Sackville, there is no point in having a Heritage Policy or a Heritage Board. Time to get back to the drawing board. Félicitations Louis – Je viens de trouver cela sur internet. Que d’occultations! C’est absolument honteux. Ceux (et celles – disons-le bien) qui s’y adonnent contribuent grandement à la réputation de tribalisme et de moeurs étriquées qui sévissent dans certains milieux. Rima, je peux t’assurer qu’il y a des injustices innommables et grotesques qui se commettent et se tolèrent. La lâcheté est apparemment sans bornes. Je vous embrasse tous les deux. Cela me fait chaud au coeur de lire ta note de solidarité chère Valérie. Je suis certaine que Louis va l’apprécier également :). Merci du fond du coeur et câlin virtuel… de l’autre bout de la ville :)!